Facilitating the exchange of land from one generation to the next. Whether you are a beginning farmer looking for land or a landowner looking for a beginning farmer, this website is designed for you! Register to view listings and send private, secure messages to the Landowner or Landseeker of interest to you. 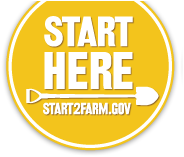 Start2Farm.gov is a database of programs and resources for beginning farmers and ranchers in the United States. 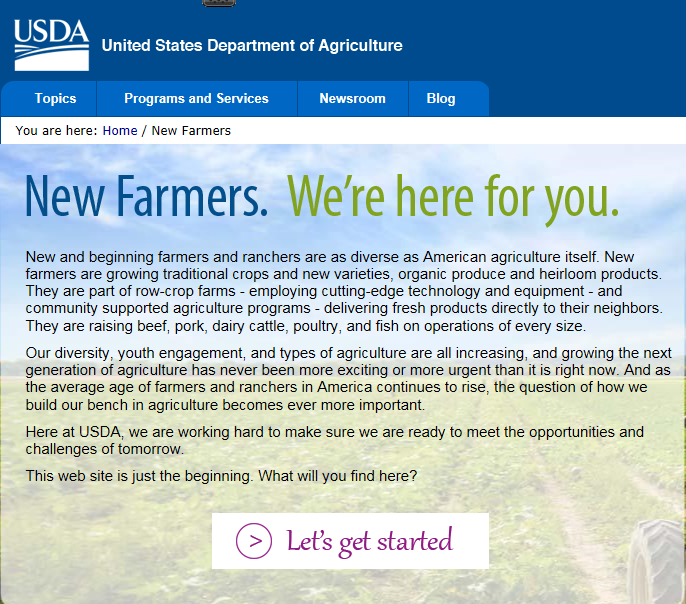 First launched in September of 2008, Beginningfarmers.org is a comprehensive compilation of information resources on farm financing, finding land, business planning, agricultural production and marketing, and much more. FSA targets a portion of its loan funds to small and Beginning Farmers and Ranchers.